Netball trailblazer Anne Sargeant OAM has become the 37th Legend of Australian sport, elevated to the pantheon of greats at the 31st Sport Australia Hall of Fame Induction and Awards Gala in Melbourne. In other awards, presented to a sell-out audience of Australia’s sporting elite, USA PGA winner Jason Day held off a stellar field of nominees to receive ‘The Don’ award as the Australian athlete who most inspired the nation through their achievements in the past twelve months. Earlier in the evening eight Australian sporting greats were Inducted as Members into the Hall of Fame and five young athletes were announced as recipients of the Scholarship and Mentoring Program to assist them achieve their sporting dreams. Surfer’s Mick Fanning and Julian Wilson were awarded the ‘Spirit of Sport Award’, Kerryn McCann’s 2006 Melbourne Commonwealth Games gold medal winning run was enshrined into the Hall of Fame as a ‘Great Sporting Moment’, and the ‘Silver Bullets’ Athens Olympic men’s 4x400m relay team was recognised with theTeam Sport Australia Award (more details below). 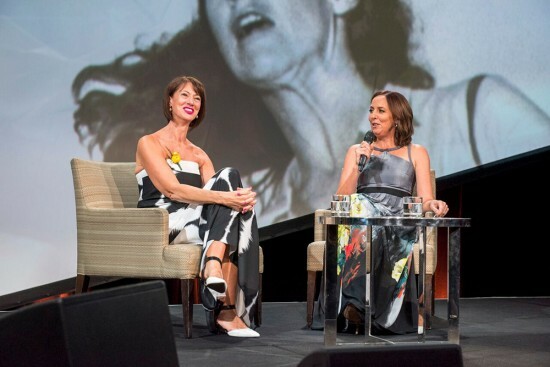 Anne Sargeant OAM has proven diamonds do last forever, as the Sport Australia Hall of Fame elevated the star netballer to become the 37th Legend of Australian Sport. Sargeant began playing netball at the age of eight and went on to represent Australia for eleven years from 1978 to 1988, captaining the team from 1983. “I’m still in shock. I’m mortified there could have been a mistake made,” Sargeant said. Always the team player, Sargeant distanced her individual brilliance from the elevation and focused on what the honour means for her sport as the first netballer to be elevated to the status of Legend of Australian Sport. “It’s so great for netball – this elevation. It’s just brilliant for my sport, and a real acknowledgement of how consistently brilliant the sport has been over a long period of time,” said Sargeant. From the age of 10, Sargeant represented her district, Manly-Warringah in New South Wales, where she captain/coached the team to six NSW titles in six years. She played for the NSW Open team from 1978, and was captain from 1982 until 1988, during which time the team won the national championships in 1984, 1985, 1987 and 1988. A towering shooter, in 1978 Sargeant was selected in the NSW and Australian teams, touring England with the undefeated national squad. Sargeant played in three world championships, the last two as captain. In 1979 she helped Australia to equal first place with New Zealand in Trinidad & Tobago, and in 1983 Australia defeated New Zealand in Singapore. In 1987, in Glasgow, Scotland, Australia finished third behind New Zealand and Trinidad & Tobago. Sargeant played in the tri-Test series against England and Trinidad & Tobago in 1981, and in 1986 led the team in another tri-Test series against Jamaica and New Zealand. Her other international achievements include touring New Zealand in 1982, captaining the Australian team at the inaugural Australia Games in 1984 and at the world games in 1985. In 1988 Australia won the international series against Trinidad & Tobago, and in 1986 she led Australia on an undefeated tour of England. Among many highlights of Sargeant’s career was a tour of Wales in 1985 when she captained an undefeated Australian side and posted a career personal best of three consecutive 100% shooting games. She was inducted into Sport Australia Hall of Fame in 1987, as well the NSW Hall of Champions in 1988 and awarded the Medal of the Order of Australia that same year for her service to netball.